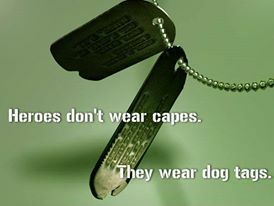 My greatest thanks and gratitude for all our brave men and women who have stepped up to protect my freedom! 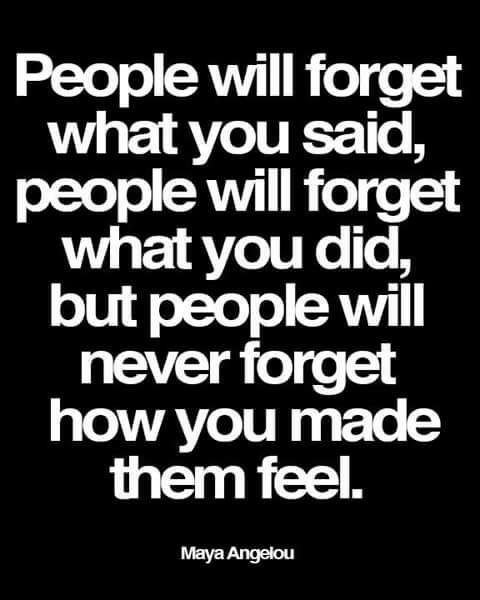 This is a real truth. I often felt with Dad and Grandpa that even if they didn’t know me, they could feel the love I had for them and that helped give them peace. Make their every moment, AWESOME! 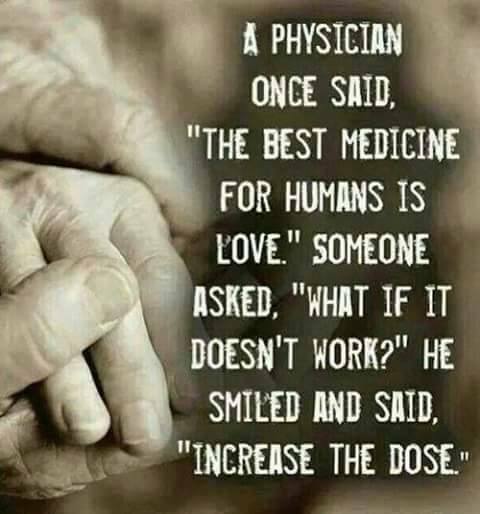 We have the ability to do a great deal to make positive, happy memories for our loved ones. Every day they are with us gives us the chance to show how much we love them. Here are some examples that I found just in my Facebook feed today, plus one from my journey with my grandpa. 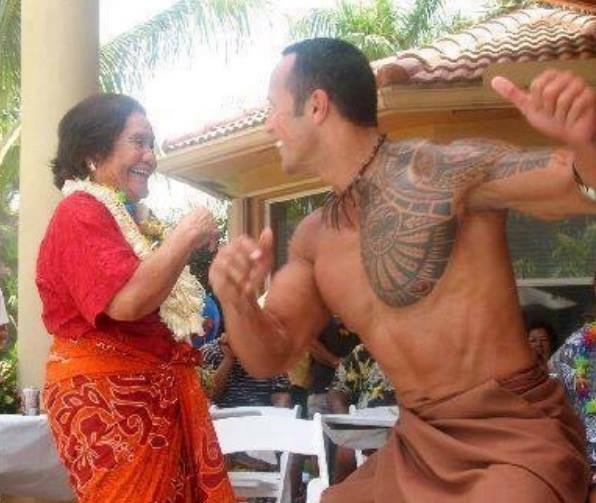 Dwayne “The Rock” Johnson … I’ve enjoyed some of his movies – now I feel a deep level of respect for the man. This is from his official Facebook page. 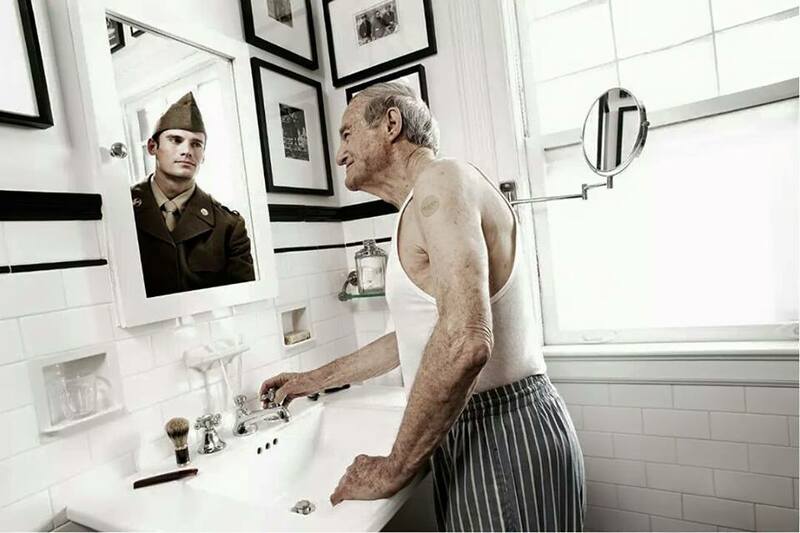 This powerful photo comes from Snohomish County. These Firefighters granted a wish to an elderly hospice patient. 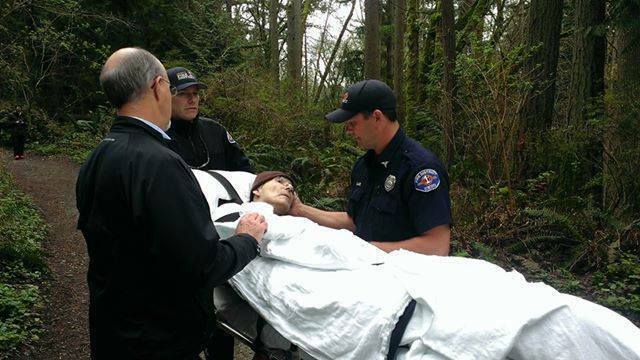 The former forest ranger wanted to see the outdoors one more time, so the firefighters wheeled him through the forest, where he could experience nature once again. With all the bad things going on in the world this picture just makes you smile and gives you hope that one day people will be kind enough to grant you your last wish. God Bless these Firefighters. More recently a sports fan wanted one last game … and got a special kiss from a player from her favorite team! 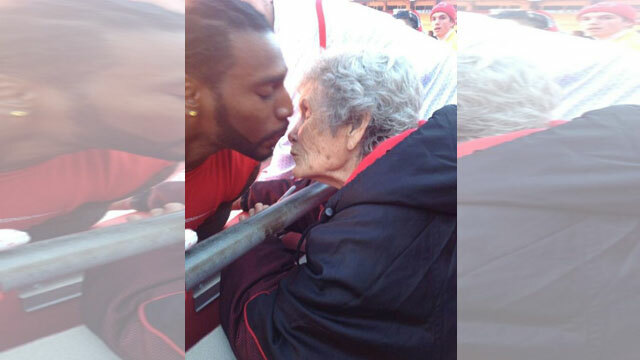 Betty Johnson’s great granddaughter shared a photo of Dwayne Bowe kissing her grandma at a recent game in hopes for the photo to go viral. At 86 years old, Betty Johnson had been with the Kansas City Chiefs through the good times and bad. Many current players knew her as “grandma.” As a season ticket holder since 1986, she could be seen in the front row at home games on the 45-yard line, rooting for the players who mean so much to her. Johnson passed away Thursday, but not before a visit by Chiefs Hall of Famer Nick Lowery. “Nick Lowery was here and getting ready to leave when she passed. We knew she was waiting for her Chiefs,” one of Johnson’s four daughters, Susan Johnson, said. Her family members say the Independence woman’s health had been deteriorated since breaking her hip in February. She had been in hospice care since April 7 at North Kansas City Hospital. Doctors were amazed that the great-great grandmother had held on as long as she had. Before her death, Susan Johnson said her mother had said goodbye to everyone except her Chiefs. “I believe she (was) holding on to say goodbye to her Chiefs,” Susan Johnson said from her mother’s bedside before her passing. Betty Johnson attended almost every home game last season. She only missed three games. Her last game she saw was on Nov. 30 against the Denver Broncos. Family members recall the late Chiefs founder Lamar Hunt and Jack Steadman, a former vice Chiefs chairman, even saying hello to “grandma” from the sidelines. From clothing to game balls and kisses, her spirit was also noticed from the players. “Dwayne Bowe kissed her at every game, and Dante Hall even took his coat off his back and gave to to her,” Susan Johnson said. Betty Johnson’s great granddaughter shared a photo of Bowe kissing her grandma at a recent game in hopes of the photo going viral to get one last kiss. The photo has since been seen by members in the front office of the Chiefs organization and players. The retired school bus driver lost her home in North Kansas City in order to pay for her Chiefs season tickets. Copyright 2015 KCTV (Meredith Corp.) All rights reserved. Grandpa on his 95th birthday. 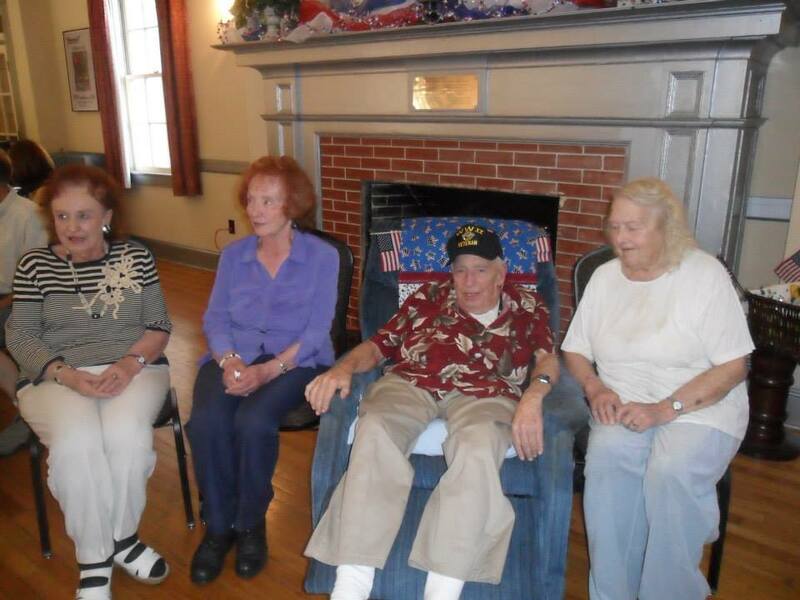 On the left are his twin baby sisters Bettie and Bonnie, to the right his sister-in-law Ruth. Although he suffered from Alzheimer’s Grandpa remembered this gala birthday celebration we held for him until the end. He would talk about his birthday party and how many people came to wish him a happy birthday (we had about 80 people show – both family and friends). He knew he was cherished and loved.